SPC Steven Elrod came from a military family. He graduated High School in 2005. Steven briefly attended college before enlisting in the Army as an infantryman with aspirations of becoming a Special Forces soldier. He attended Basic Training at Ft Benning, GA in Feb 2006 then straight to Airborne School. 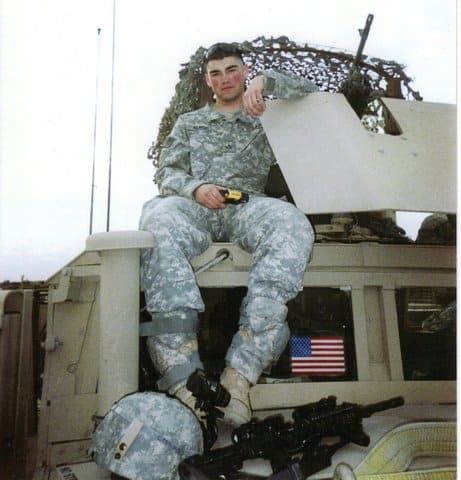 Steven was assigned to Ft Bragg with the 82nd Airborne Division- after being in his unit for only 3 days, he and his unit deployed to Tikrit, Iraq for 5 months. His unit returned home just before Christmas 2006. After being home for only 20 days he redeployed on January 4th as part of President Bush’s massive troop surge to regain control of the increasing violence from foreign fighters and anti-coalition forces by patrolling the streets of Baghdad, meeting Iraqis, and raiding homes of known terrorists and insurgents. For his actions on May 13, 2007 he was awarded the Bronze Star for Valor for thwarting a well emplaced enemy ambush that would have devastated his entire unit. On September 10, 2007 SPC Elrod was killed when his vehicle went off an overpass while returning to base from a successful mission. He is survived by his parents, younger sister and brother.